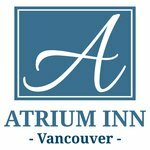 Welcome To The Atrium Inn Vancouver! Discover Vancouver’s East End when you stay at the Atrium Inn. Our hotel in Vancouver was named for its open and airy layout, resembling that of a Roman house. The Atrium Inn is the perfect place to bring your family and friends for an unforgettable vacation in Vancouver’s East End. Located between downtown Vancouver and the city of Burnaby (British Columbia’s third largest city), the Atrium Inn Vancouver has a unique advantage of remaining close to the metropolitan city, while enjoying close proximity to beautiful parks, rivers, lakes, and the Burnaby Mountains. Each room of our spacious Vancouver, BC hotel comes with plush bedding and modern amenities designed to make guests feel at home. Whether you’re staying with us to attend a conference at the Vancouver Convention Centre or spending a night with us before heading off on an Alaskan Cruise, we have the perfect accommodations for you. Book your stay at our hotel in Vancouver, BC to enjoy charming guest rooms, affordable rates, and a selection of incredible on-site amenities sure to make your visit to our city a memorable one.